There are health, household and garden uses for cinnamon. It is possible that cinnamon can cure a whole host of ailments. I don’t like chemicals and try to avoid them at all costs. In my garden space, I use homemade deterrents for insect control to keep my dogs and the environment safe. If you aren’t using cinnamon around your home, in your garden and for your health, read on. 1. As a power booster: Improves cognitive function and memory. Carry a stick with you to keep you focused. Or add to your morning cereal or coffee. 2. Cholesterol reducer: One quarter teaspoon cinnamon daily. 3. Pain reducer: Helps with contraction and relaxation of muscles. 4. Menstrual aid: For centuries cinnamon has been known to help with heavy menstrual bleeding. 5. 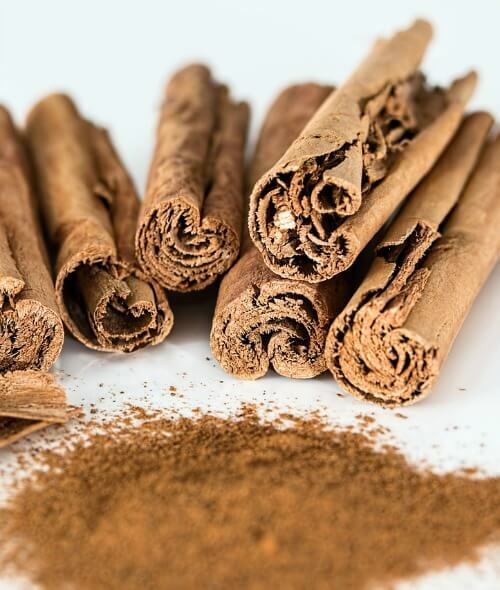 Circulation booster: Cinnamon is commonly used to thin blood, which increases circulation through the body. 6. Arthritis pain reducer: Research shows that cinnamon slows down the breaking of bones. 7. Complexion enhancer: Cinnamon has anti-fungal and anti-bacterial properties along with antioxidants. Mix 1 teaspoon powdered cinnamon with 3 tablespoons honey to apply to skin. Let mixture sit a few hours or overnight. Wash off with warm water. 8. Bladder infection: Cinnamon is also a diuretic. 9. 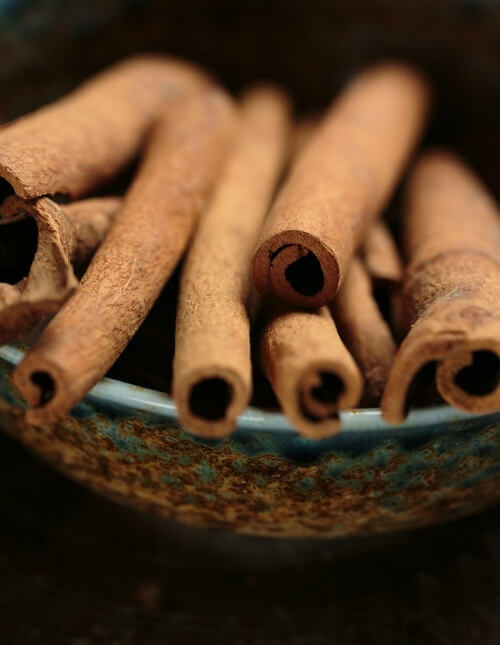 Digestive aid: Cinnamon helps break down fats during digestion. 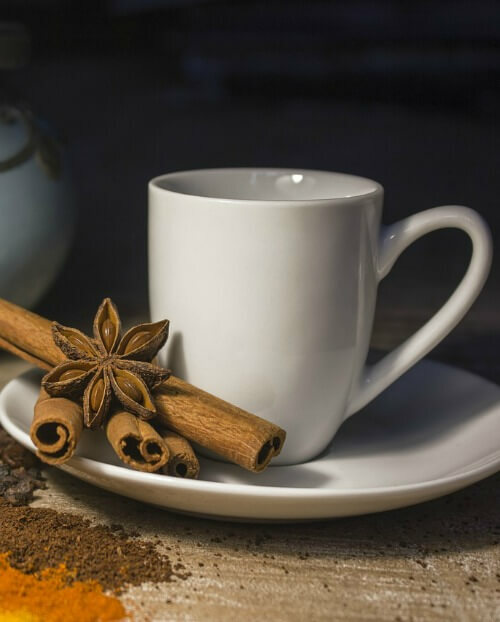 A tea water concoction of a few dashes of cinnamon and a teaspoon of honey half an hour before eating will soothe your digestive system. 10. Yeast Infection: High blood sugar levels can lead to candida overgrowth. Cinnamon is helpful in lowering blood sugar. I am not a medical professional, so I suggest you look up the safe use of cinnamon before ingesting. Insect Bite Treatment: A mixture of cinnamon and honey applied to skin irritation helps to alleviate pain and itching. The mixture also disinfects the infected area and moisturizes to heal it. Food Preservative: Add cinnamon to any recipe and it will help prevent the spoiling of food by delaying bacterial growth. Light Bulb Diffuser: One drop of cinnamon essential oil on a cool light bulb will fill the room with aroma. Moth repellant: Combine 1/2 cup of whole cloves and 1/2 cup whole black peppercorns with 3-4 broken cinnamon sticks. Fill sachets with 1 tablespoon of this mixture and place in drawers. Ant repellent: I keep cheap cinnamon around to keep ants at bay. Sprinkle the powder around openings and wherever ants are getting in. They will turn around and not cross the line of cinnamon, I’ve found. Ants In The Sandbox: If there are ants in a child’s sandbox, mix a container of cinnamon powder with the sand, mixing well. Ants will avoid the sand. Rooting Agent: I use cinnamon powder on a cut stem to stimulate root growth. Pour a spoonful onto a paper towel and roll damp stem ends in the cinnamon. Deter Mushrooms In Planters: Cinnamon will deter mushrooms. Stir cinnamon in warm water and allow to steep overnight. Strain the liquid through a coffee filter and put the remainder into a spray bottle. Spray the stems and leaves of affected plants. Mist the potting soil of the plant with the mushroom problem. Cinnamon is just one of the things we regularly keep in our home that can be depended on for other uses, such as for use in our gardens. I have read that it’s good for keeping blood sugar in check. I also knew someone that used the sticks to help with the cravings when quitting smoking. Turmeric with cumin is also a very good anti inflammatory, I take the capsules daily and have noticed some of my pains and aches have diminished significantly. 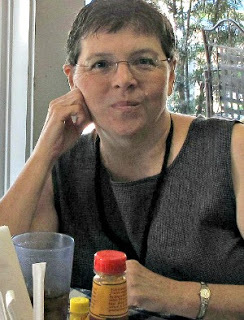 I read your blog every day. You always have such good ideas to share. I like the “old fashioned” ideas much better than the new ones. It’s fun and helpful to find all these things especially the ones that I haven’t known and the ones that I’ve forgotten about. Many are “old fashioned” ideas which prove to be the best most of the time. The gardening information is always helpful – I use containers for most of my flowers and vegetables. I was amazed at all the great ideas for cinnamon. There were several that were new to me. I plan to start using them. Your book reviews are helpful, too. I’m looking forward to watching your garden this spring. I’m in Ohio so we are a little bit behind you with planting. I love the smell and taste of cinnamon. BUT, I did not have any idea how beneficial it was and how many ways it could be used in the home/garden. I keep powdered/ground cinnamon on hand but I am going to buy some cinnamon sticks during my next grocery trip. What a neat post! My mother took cinnamon capsules daily for years to cure her sugar diabetes. It worked! I love to put cinnamon in my coffee too. I’ve seen the “cinnamon challenge” vidoes and wondered why it’s so difficult. Turns out, cinnamon doesn’t dissolve in liquids or in the saliva in your mouth. And I’ve just found out that what we buy as cinnamon isn’t the true cinnamon–but I like it and the smell always has good memories. Thanks for all the good hints. Do you get earwigs in your garden? If so, does a cinnamon spray help? Last year I had earwigs so bad and I tried everything (natural) and nothing worked. I’m almost tempted to NOT plant much this year because of that problem. They chewed up EVERYTHING so not much left of the plants! I tried vinegar sprays, copper around the base of the plants, brushing them off, putting tins of oil at the bottoms of plants and even a commercial spray (which didn’t work either)! They chewed up all the leaves on my lilac bush too and alot of my raspberry leaves. Also had those little white moths that ate things. I used to take cinnamon every day mixed with honey.. I do think I felt better when I was taking it and don’t know why I ever stopped. I love cinnamon and have read about the health benefits of it, too. So good for you! I also don’t use any chemicals in my yard/gardens, so I’m glad to know there are ways to use cinnamon outside, too. Thanks for the tips.